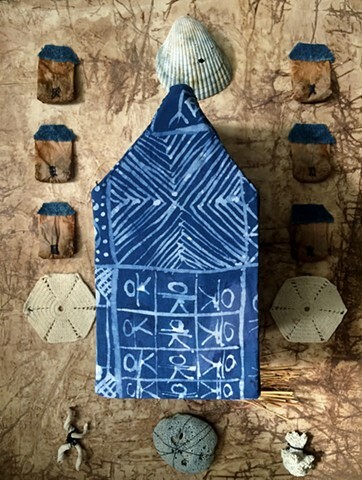 Close up to show indigo dyed batik on The Big House centerpiece of a triptych. 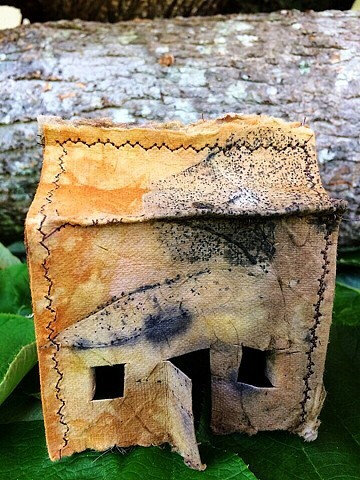 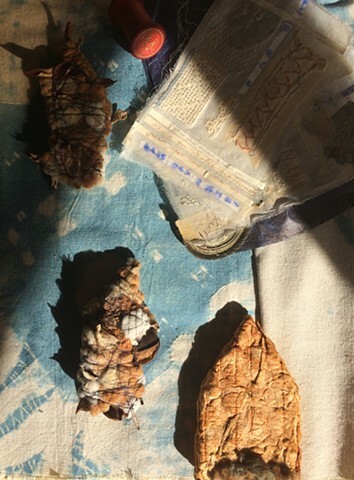 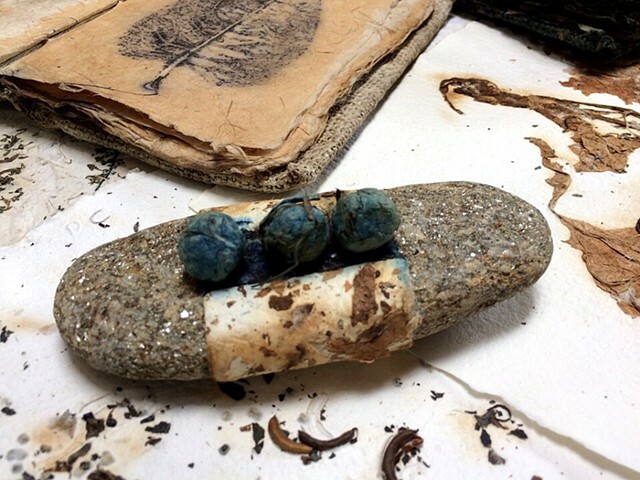 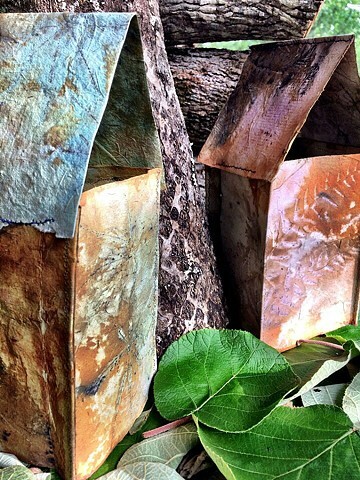 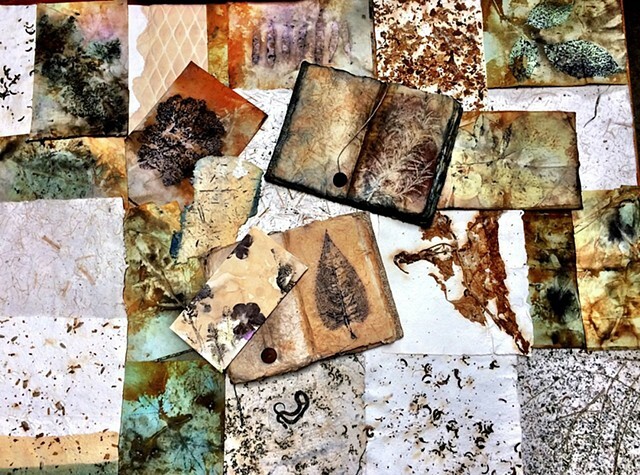 Handmade papers, Indigo, natural dyes, cotton, linen, raw agricultural materials, recycled vintage book fabric and book covers, rust, hand stitching. 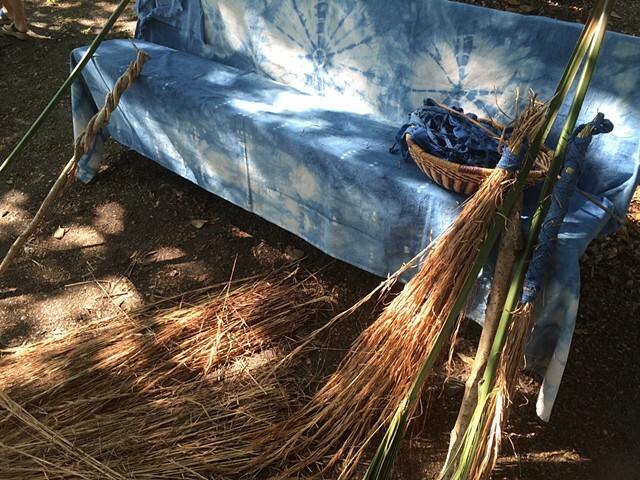 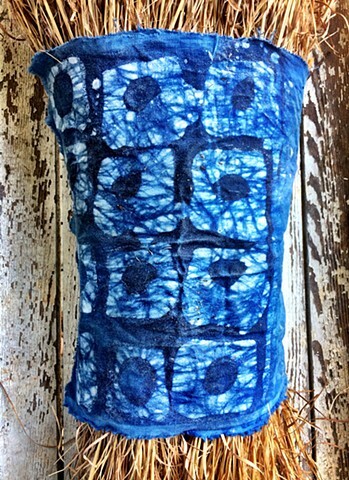 Indigo dye and batik on cotton wrapping a Sedge Broom bundle. 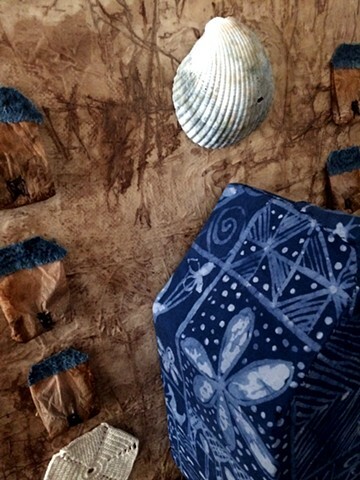 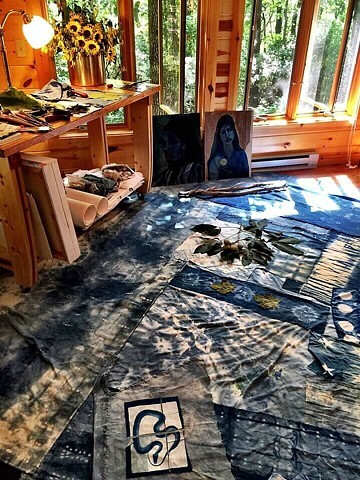 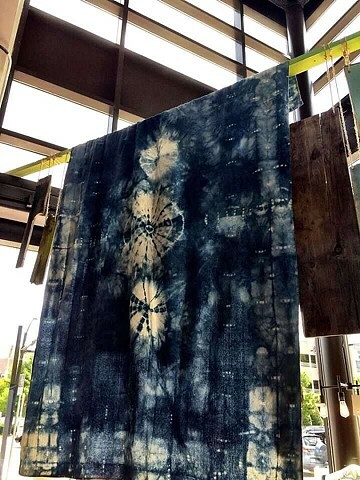 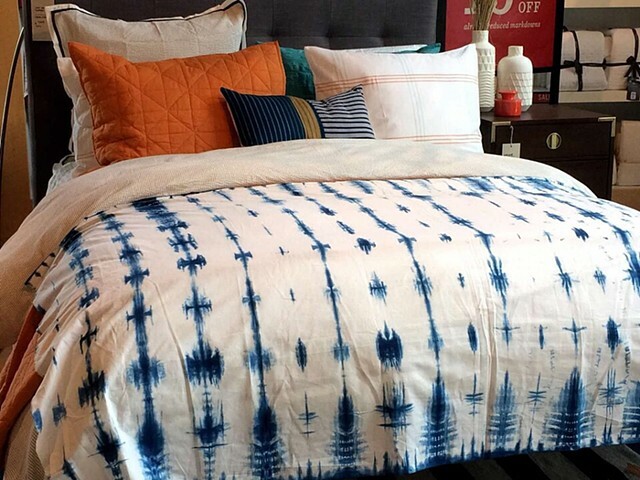 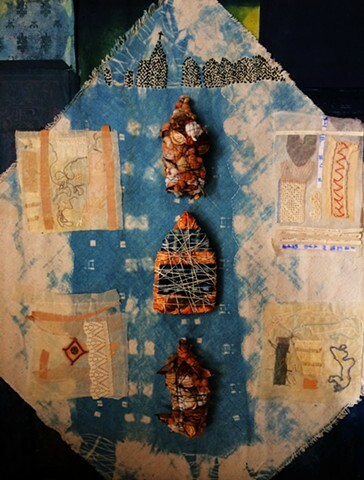 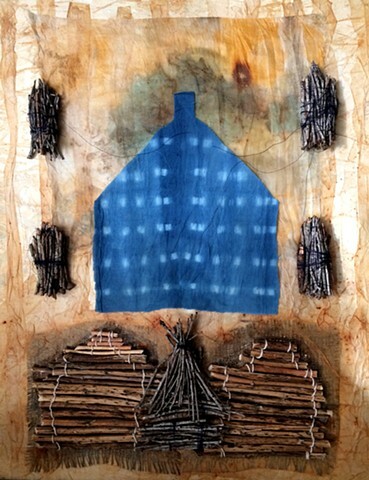 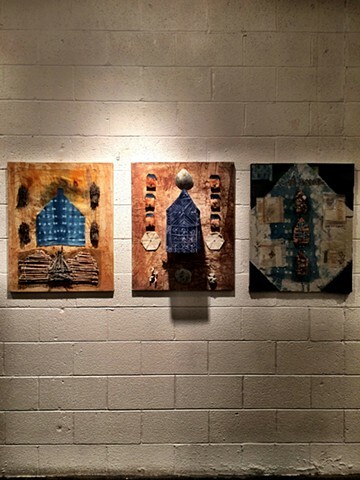 Paintings, indigo dyed fabrics and cyanotype on fabric.